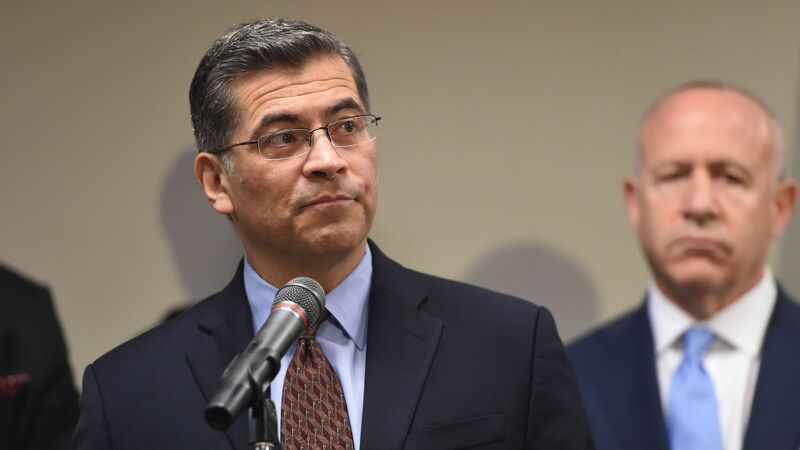 A group of Democratic attorneys general, led by California Attorney General Xavier Becerra, moved today to appeal last month's district court decision striking down the Affordable Care Act. What we're watching: The case now moves to the Fifth Circuit Court of Appeals, where many legal experts — who have always thought the case against the law was weak — say the decision could easily get overturned. The health care law remains in effect during the appeal. The federal judge's ruling that the Affordable Care Act is unconstitutional is one more reminder about the history of predictions on the health care law: the track record is pretty embarrassing. The big picture: Few legal experts took the Texas lawsuit seriously when it was filed in February, so they didn't see it as a threat to the law. Turns out it is. And that's just the latest in a long series of ACA predictions that didn't hold up. It'll be just like Social Security and Medicare. Democrats misjudged the strength of the Republican opposition to the law — and the protests around the country — when they pushed it through Congress in 2010. Fine, they said, but Social Security and Medicare also faced opposition when they were created, and now everybody loves them. The ACA was different — in no small part because Democrats passed it without a single Republican vote. "Jobs killer." That's what Republicans labeled the law in 2010, and the prediction lived on for years. It's hard for economists to know for sure what would have happened without the law, but the jobs market isn't exactly hurting now, with the law still in place. 24 million people. That's how many people were supposed to get their health insurance through the ACA's marketplaces in 2021, according to the Congressional Budget Office's original estimates. That's still a few years away, but as of 2018, the actual enrollment was a little over 10 million. "If you like your health care plan, you can keep it." Barack Obama's famous line was promise and prediction, rolled into one. It didn't work out that way for a few million people whose individual health insurance plans didn't meet ACA standards. Trump wins — the ACA is getting repealed. Remember when Donald Trump's election was going to change everything? It didn't. If you kill the individual mandate, you kill the ACA. That was the Obama administration's argument to the Supreme Court in 2012: the popular parts of the law, including protections for pre-existing conditions, only work if there's a mandate to make sure healthy people get insurance and pay for sick people. But since Congress got rid of the tax penalty, making the mandate unenforceable, enrollment has only dropped a bit. What to watch: Now, legal experts across the board are saying the federal judge's ruling that wipes out the ACA is too silly to be upheld. And maybe they're right — maybe it will be reversed by the Fifth Circuit Court of Appeals, or if not, by the Supreme Court. But given the track record of ACA predictions, don't bet your house on it.